weincasting! » Dr. Niles Crane Quotes XVII. Frasier: Niles! What fortuitous timing. Er… you know the wine shop just called a moment ago? It seems they’re down to their last two cases of the ’82 Chambolle-Musigny, so why don’t you dash right down there and stack it all up? 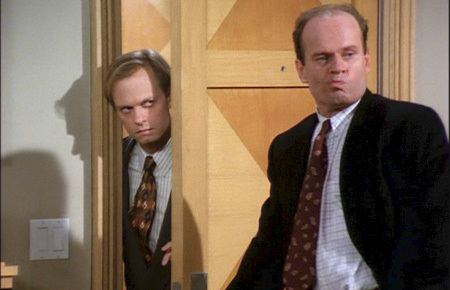 Niles: Okay… Hold it! … You know very well that in 1982 there was a drought in Bourgogne. The locals dubbed it ‘The Year of the Raisin.’ And that wine was never sold by the case, only by the bottle… T.H. Houghton is here, isn’t he?